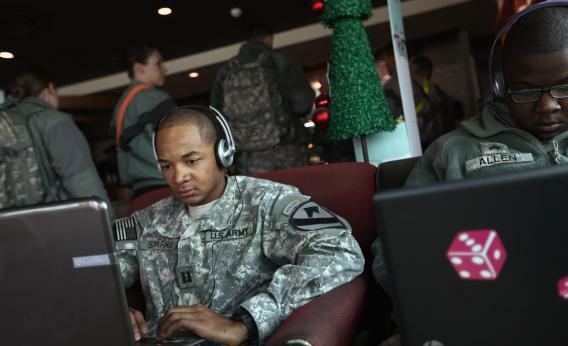 DARPA Plan X: The agency wants to visualize the Internet for cyberwarfare. Is DARPA’s Scary-Sounding “Plan X” Project Just a Map of the Internet? U.S. Army captain in Kuwait. Next month, the Pentagon’s research unit DARPA will hold a brainstorming session with the private sector about the cyber-warfare project dubbed “Plan X.” Coming from the agency that gave us robotic mules, cars that drive themselves, not to mention the earliest beginnings of the Internet, an event of this scale might hold huge potential for cyber warfare technology. According to the document DARPA has made available for potential vendors, the objective of Plan X is “to create revolutionary technologies for understanding, planning and managing cyberwarfare in real-time, large-scale and dynamic work environments.” The release specifies that Plan X is not meant to fund cyberweapons or technology that shows us the vulnerability of a nation’s networks. In plain English—where are the dams? The power grids? DARPA is seeking a large-scale, user-friendly map of an enemy nation’s networks. The research program is slated to last for five years and is budgeted at $110 million.